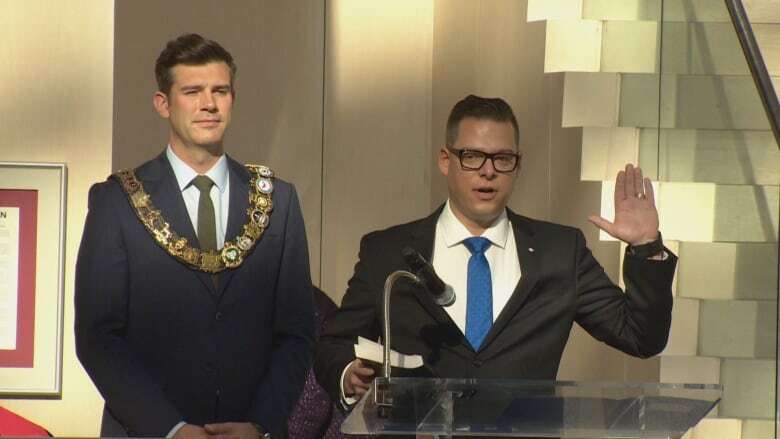 Edmonton city councillor Jon Dziadyk is defending his decision to use taxpayers money to help cover his $67,000 tuition for an Executive MBA program at the University of Alberta. Coun. Jon Dziadyk had a change of heart Thursday morning and says he will no longer ask taxpayers to partially pay for an Executive MBA at the University of Alberta. 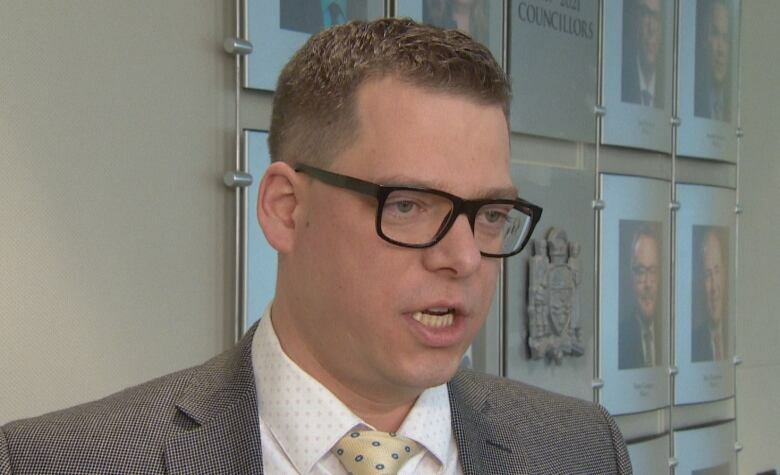 In a tweet posted Thursday morning, a few hours after CBC reported on his MBA plans, Dziadyk said he will reimburse the City of Edmonton for two-thirds of the tuition — about $44,000 — money he originally intended to take from his ward budget. "I do understand that the tuition could be concerning to some people," Dziadyk said. "It's an expensive degree." The first-term councillor said he was paying 35 per cent of the tuition — about $23,000 — and using his ward budget to cover the rest — about $44,000. 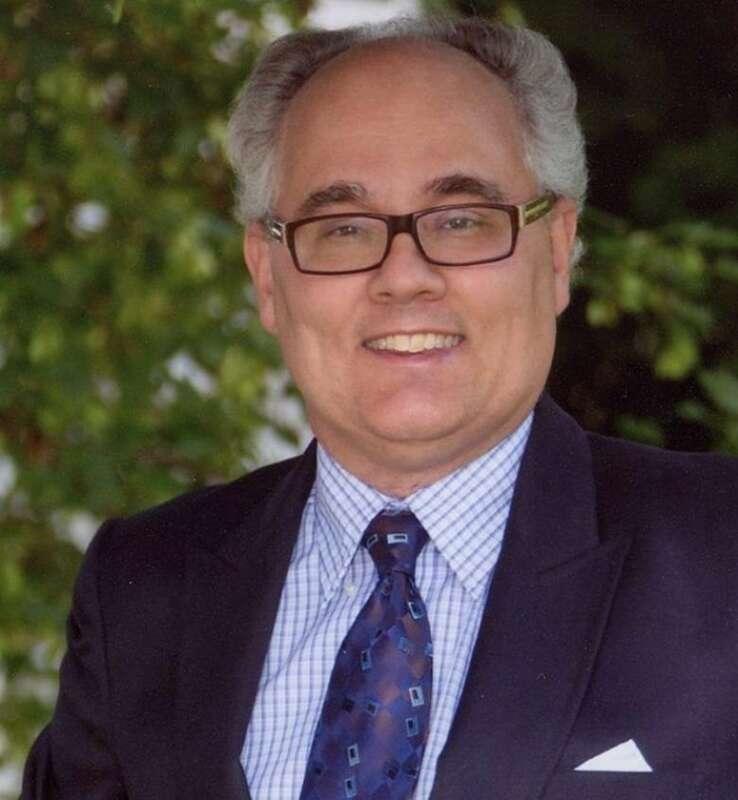 Dziadyk said that the ward budget is intended to help a councillor perform his or her duties. He sees the MBA as a form of professional development and believes the two-year business degree will help him be a better councillor. "It allows me with more confidence and new lenses to critique city decisions with a business perspective," he said. "I'm confident that we'll be saving the city money overall." He started the MBA program last fall before council began budget deliberations in November. He said the business course helped him respond "more effectively" to reports and proposals in the budgets. He told CBC News he hasn't received any pushback about using ward money for the degree, since explaining the move in a Jan. 11 blog post and sharing it on Facebook. But one of his constituents got in touch with CBC News this week to voice concern about the councillor's use of taxpayer money. "To me it seems like that's going to benefit him more than it is to benefit people here," Thomas Deak said Thursday. Deak, a resident of the Ward 3 neighbourhood of Dunluce near Castle Downs, suggested the ward budget could be used for community projects, like playgrounds or public spaces. "They [the funds] need to be spent in a way that it's going to benefit the most people in our ward," Deak said. The current council has served about 16 months of its four-year term. Deak said he doesn't think paying for post-secondary education is a good value for taxpayers because if Dziadyk doesn't get re-elected or run again, he gets to keep the knowledge from the pricey degree. Dziadyk spoke about his decision to to use taxpayers' money to help cover his education during an interview Thursday morning on Edmonton AM. "What happens, A — if he decides not to run, B — he decides to do something else in his career? Oh, that's great, now you have an MBA at the cost of the people." Deak, a business consultant who works from home, applied for a job with Dziadyk's office but didn't get hired. He also ran as a school trustee in the last municipal election. Dziadyk said he plans to run again in the 2021 municipal election. Under current city policy, Dziadyk isn't breaking any rules. A spokesperson for the city clerk's office, Melissa Lovatt, said using the ward budget for a master's degree isn't "prohibited." City employees are also eligible for training and education through outside organizations. Training for city staff "must align with an employee's job description," and are decided on a case-by-case basis and must be approved by the supervisor. "Each councillor has to answer to your constituents," Coun. Andrew Knack said. The city leaves the ward budget to the discretion of a councillor, who will be responsible for explaining how and why it would benefit the ward, he said. "You have to feel comfortable that you can justify [spending] to constituents," Knack said. Coun. Bev Esslinger studied a master's degree by correspondence during her first elected year, using her own money. She discontinued the course because she felt she couldn't balance the academic load while doing an effective job as a councillor. A proponent of some level of education and professional development, she called the U of A MBA price tag "overwhelming." Coun. 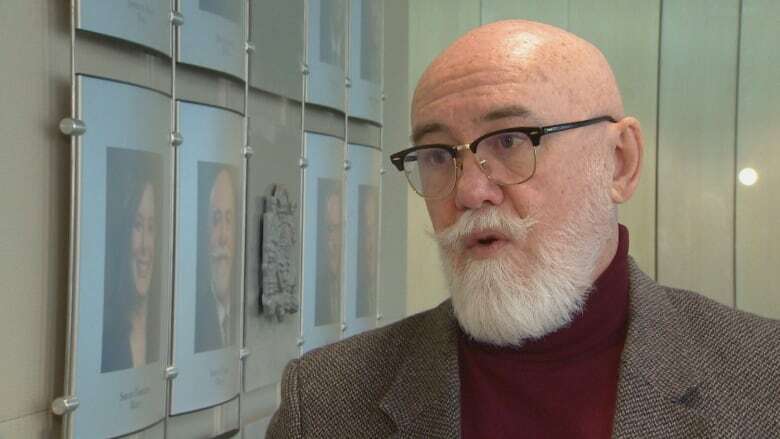 Scott McKeen said he once considered taking a conflict resolution course at an estimated cost of $2,000. "I decided I couldn't justify that. First of all the cost — putting that on the taxpayer," he said. "Secondly, the time away — six total days in a really busy ward wasn't something that I could justify for leaving my office high and dry for dealing with constituents." McKeen said it's good that Dziadyk posted the information publicly. "Then the public can decide." Despite some criticism, Dziadyk insists the move is in line with the expectations of his office. "I'm comfortable with that because the ward budget is intended in part for professional development and for a councillor to be able to perform the duties to the best of their ability." Council and the mayor are under a new code of conduct, and their decisions may be scrutinized by their colleagues and the public. Missteps may be referred to an integrity commissioner and councillors can consult a new ethics adviser, Brent Rathgeber. Dziadyk said he hadn't spoken to Rathgeber about his plans for the ward budget. "There's no ethical issues here," Dziadyk said. "So I see no need to consult with the ethics adviser." Deak sees the scenario as fundamentally unfair. "A lot of people are struggling to put their kids through school," Deak said. "They have to take a student loan. Some families in their community say they could never put their children into school."